With a large number of mortgage deals in the Australian housing market, knowledge is the key to getting a good deal. While a good loan is one that is cut to your requirement, there are certain features you must look for before you sign up for one. Many lenders offer low rates and seemingly low fee. However, not reading closely can cost you thousands over the life of the loan. The advertised rates and fee can be much different from the actual cost of the loan. Make sure to ask for a term sheet and read it thoroughly to understand your loan package well. Everyone wants to be debt free sooner. Good financial planning and extra repayments can make your debt vanish much sooner than its anticipated term. Make sure your lender allows extra repayments without any additional fee. It is also possible to make additional repayments over and above your stipulated amount. Even small monthly payments can work wonders to save time and money in terms of years and interest on a loan. What makes it even better is to ask for a redraw facility on your loan (for no fee or minimal fee). This will give you the mental freedom to redraw the additional payments made by you, in case of an emergency. Use our repayment calculator to calculate your monthly repayments and plan better! An offset account is just like a regular savings account linked to your loan. The amount you have in the account is offset against the principal amount and you pay interest only on the remaining amount. For example, if you owe $200,000 to the bank and have $50,000 in your offset account, you only need to pay interest on the remaining $150,000. Get your salary credited to your offset account and ask for a credit card linked to the account to make your monthly payments (of course, pay your credit card bills on time), ensuring maximum balance in your account at all times. There are two basic kinds of loans you could choose from – Interest only loans and Principal & Interest loans (P&I loans). You could read about these here. In an interest only loan, your repayments only cover the interest and the principal amount does not reduce. These loans can cost you much more in the longer run than a P&I loan. Further, you could choose to pay a variable rate of interest to take advantage of the market (if you have the risk appetite for that) or you could fix your loan for few years to cash in on the current wave of low mortgage interest rates. It is also possible to choose a split loan wherein you can fix the interest rate for a certain part of the loan. Choose the interest rate that fits in with your financial goals. With too much competition in the market, many lenders offer little extras to their customers that you must take advantage of. A dedicated relationship manager can save you lot of time and hassle by guiding you through the loan application, helping with the paperwork and handling your queries, quickly and efficiently. Portability of loans is another feature that can potentially save you a lot. It is quite probable that you would move to another property in the next 20-25 years before your current loan term is over. Loan portability means that your lender allows you to move your existing loan to another property, saving you time and fee and allowing you to retain the original loan structure. Buying a home is a big decision and we advice you to make an informed choice. 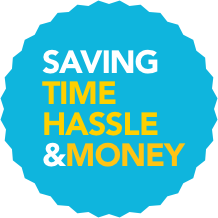 Compare hundreds of pre-negotiated deals or have your queries answered by HashChing experts only, absolutely free of cost and within minutes.